Categories: All Dresses, Extended Sizes, Dresses. Tags: bettie page, viva las vegas, retro, vintage, Plus, plus size, flower pattern. 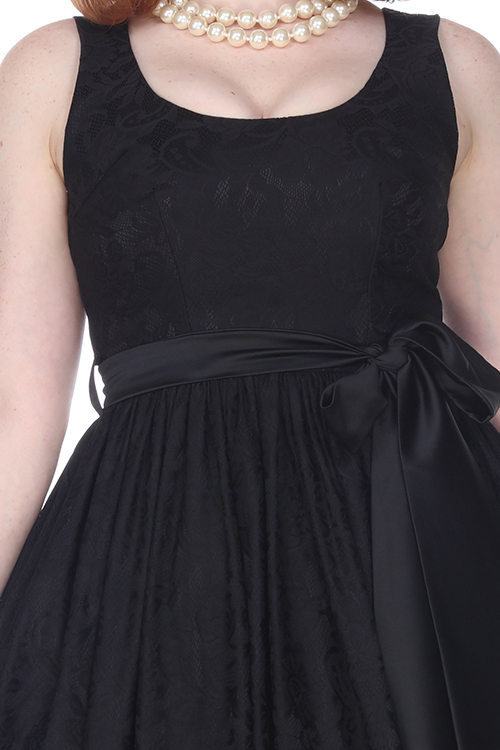 This gorgeous sleeveless dress from Bettie Page Clothing features a floral lace overlay, gathered skirt and an adorable bow belt.